Aubrey Griffin, the No. 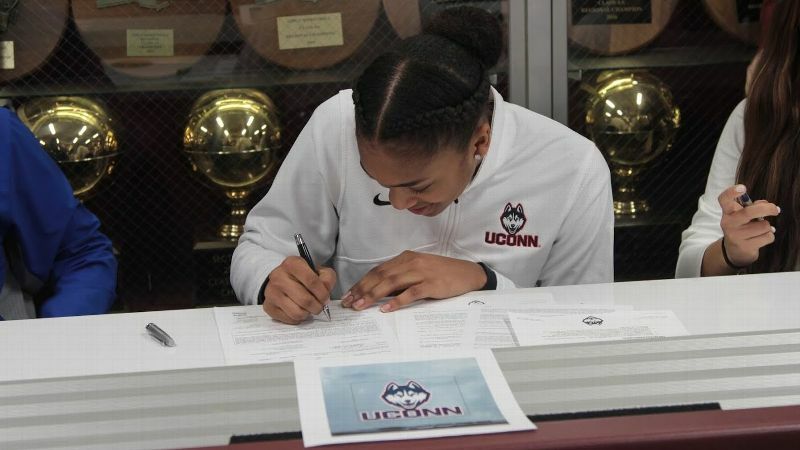 33 prospect in the 2019 class out of New York's Ossining High, signs her national letter of intent to UConn on Tuesday. 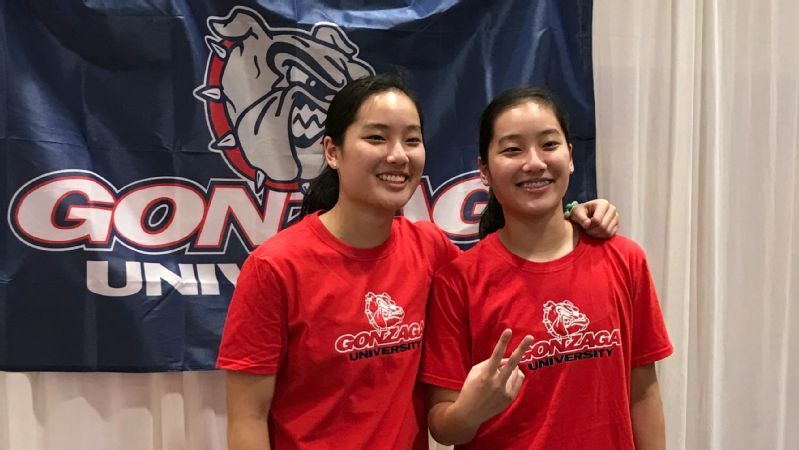 The news was twice as nice for Lisa Fortier when Texas twin guards Kayleigh Truong (left) and Kaylynne Truong signed their national letters of intent with Gonzaga on Wednesday on the opening day of the early signing period. "They have such a great floor presence, and they are so interchangeable with the way they each shoot the ball and find open players at the exact right time," Fortier said. No matter how you slice it, there's something special about signing week. Guard Celeste Taylor, the No. 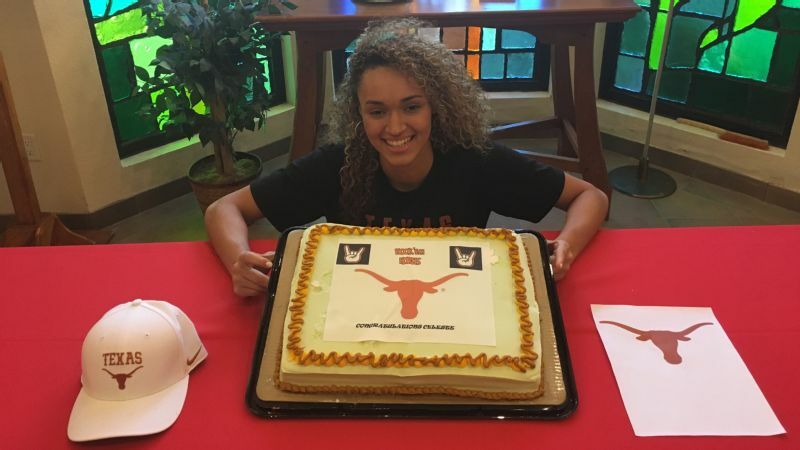 20 prospect in the country, signed with Texas and served up some cake. Makenna Marisa, the No. 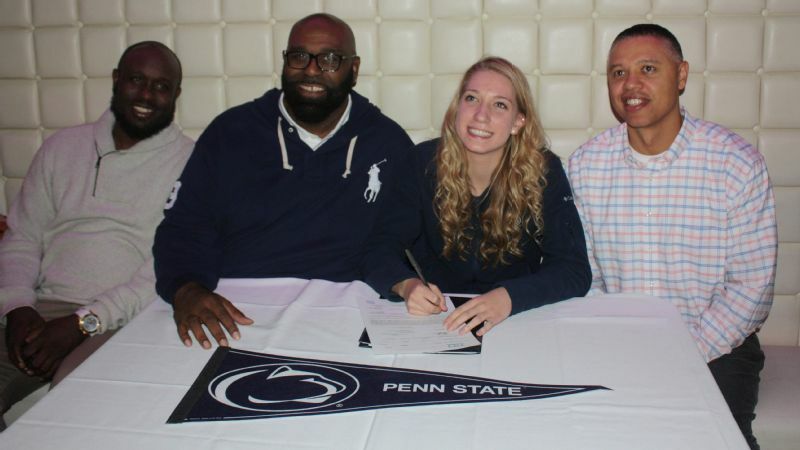 59 prospect in the country, flashes a smile as she signs her national letter of intent to Penn State. 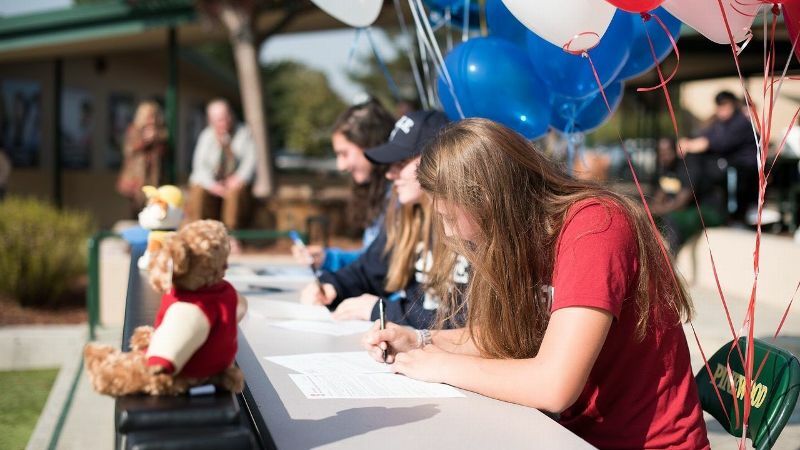 Hannah Jump, a shooting star at Pinewood (Los Altos, California), signs off on her decision to play basketball at Stanford. 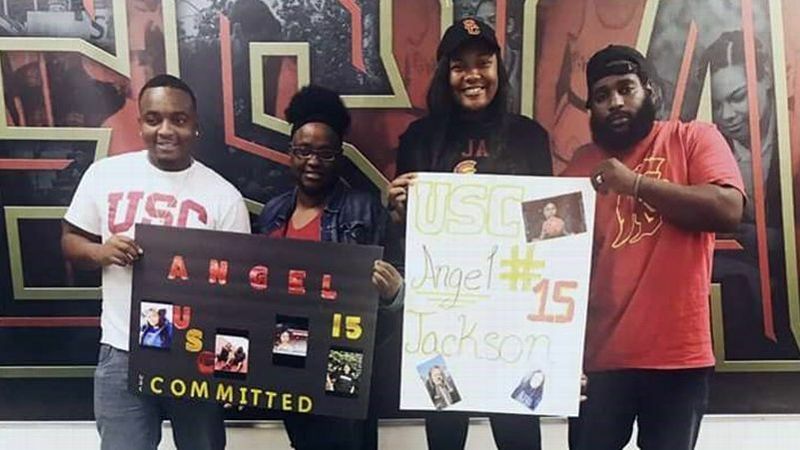 Angel Jackson, who is headed to USC, and her family broke out signs to celebrate her signing. Not pictured: her beautiful cake. 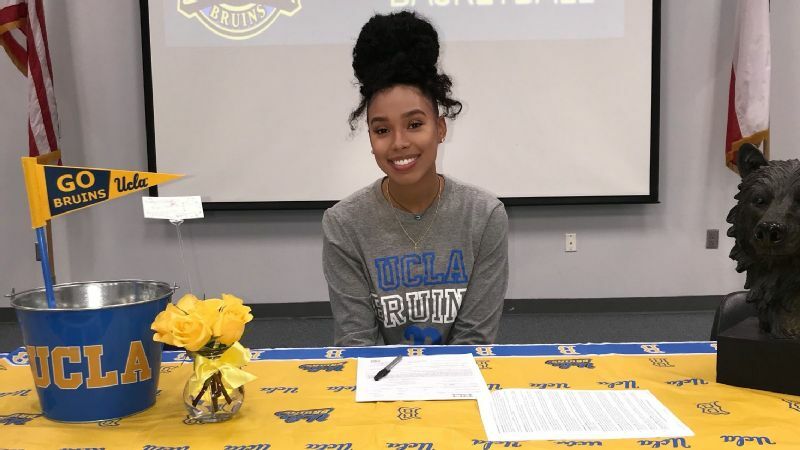 From banner to bouquet to bruin, Jaden Owens had the perfect place setting to sign her national letter of intent to UCLA. 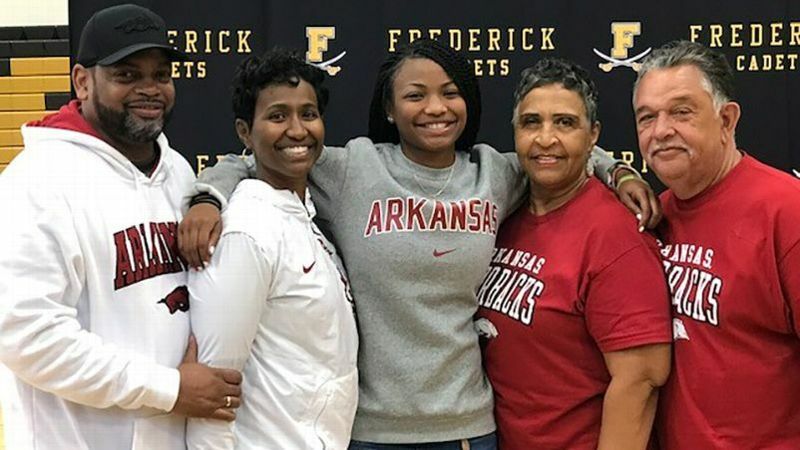 Arkansas-bound Makayla Daniels shares an embrace with her parents and grandparents after signing her national letter of intent. 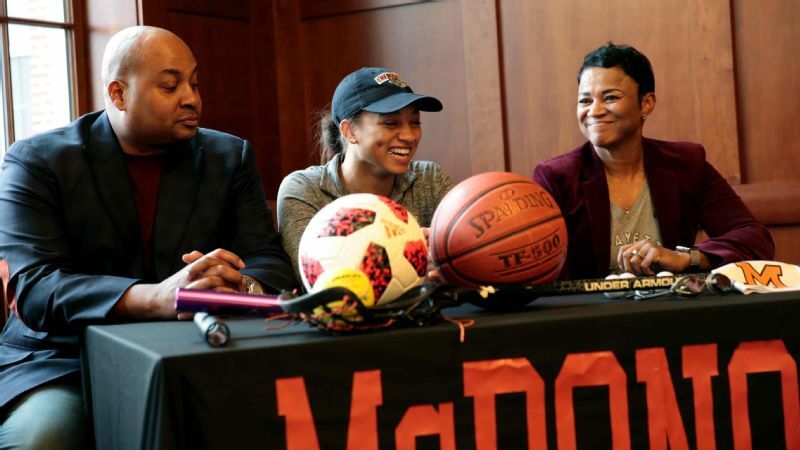 It's not every recruit who can say she signed a national letter of intent to play for a 1,000-game winner. 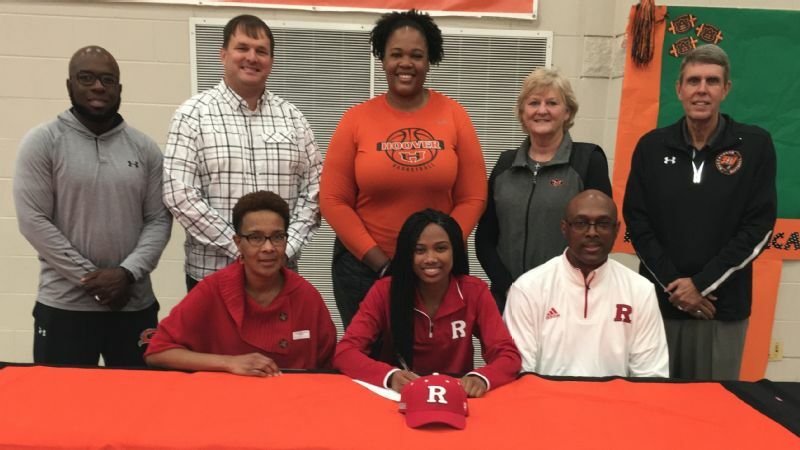 Rutgers-bound Joiya Maddox can. Jessica Booth of Maryland's McDonogh School is all smiles after signing her national letter of intent to Lafayette. 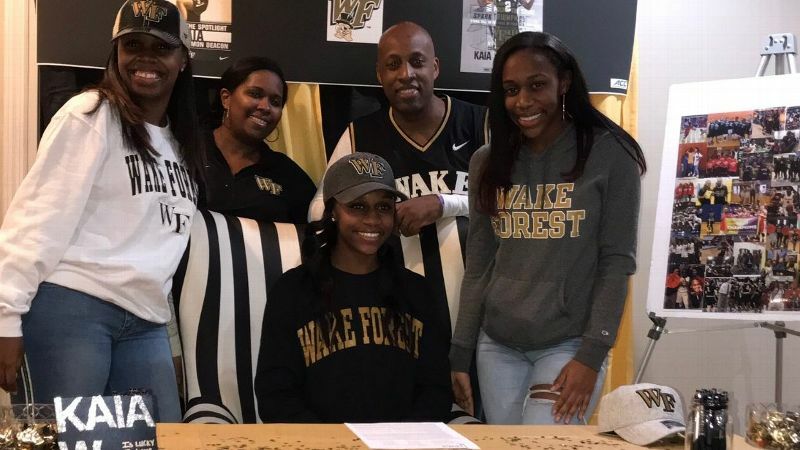 Check out the chair Kaia Harrison sat in while making her commitment to Wake Forest official. 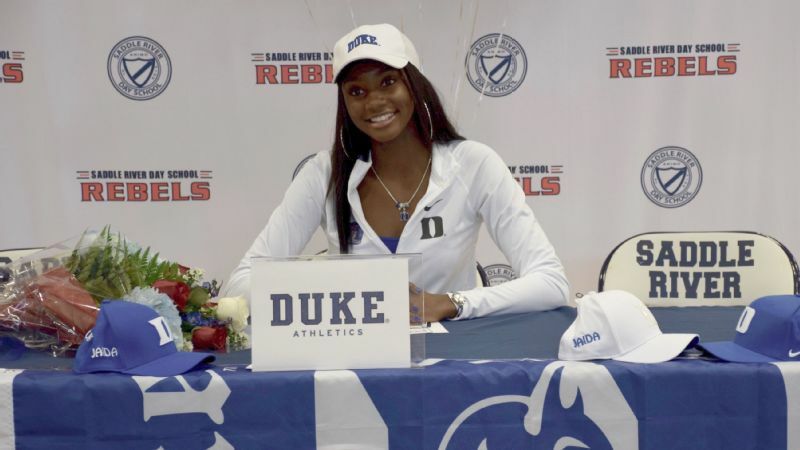 Jaida Patrick, a 6-foot guard out of Saddle River Day (New Jersey), was all decked out in Duke attire for her signing ceremony. 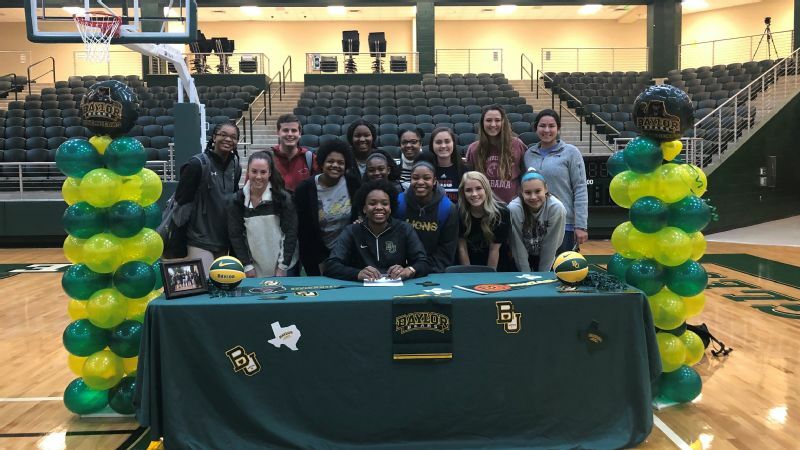 Known for her sweet shot, Baylor-bound guard Jordyn Oliver starred in this sweet snapshot to commemorate her signing ceremony. 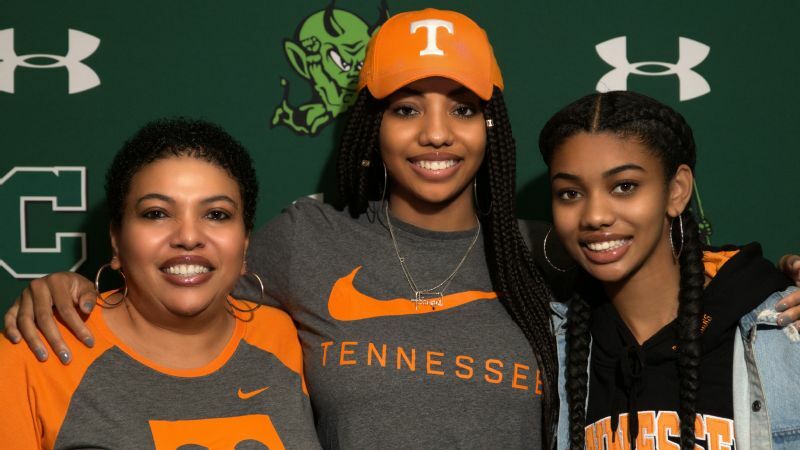 Tamari Key, center, celebrates with mom, Tammy, and kid sister, Teonni, after signing her national letter of intent to Tennessee. 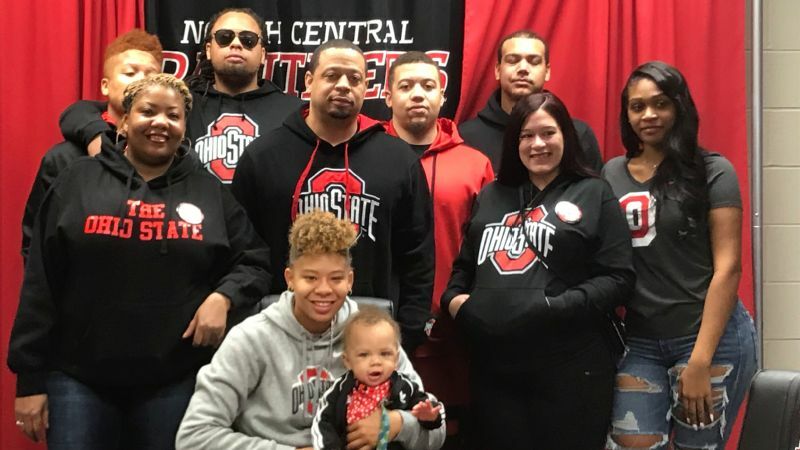 Point guard Rikki Harris, part of the grand Ohio State class, drew a crowd to her signing ceremony at North Central High in Indianapolis on Wednesday. 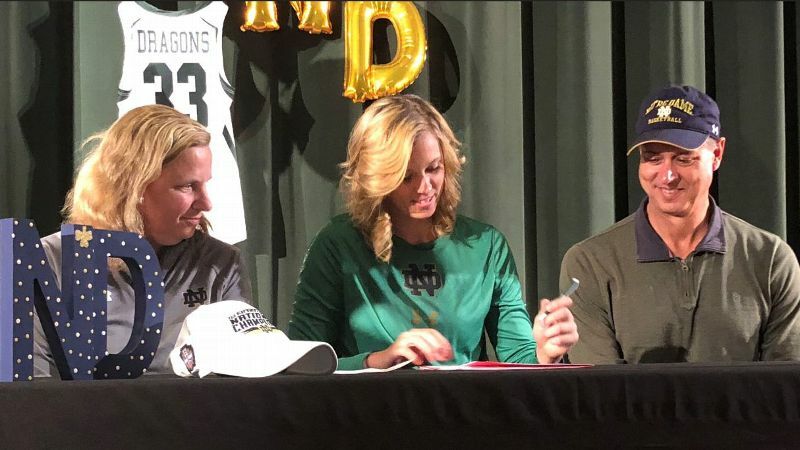 Superstar Samantha Brunelle signed her national letter of intent to Notre Dame using her non-dominant left hand to show support for Kate Altizer, a local girl who has cerebral palsy. 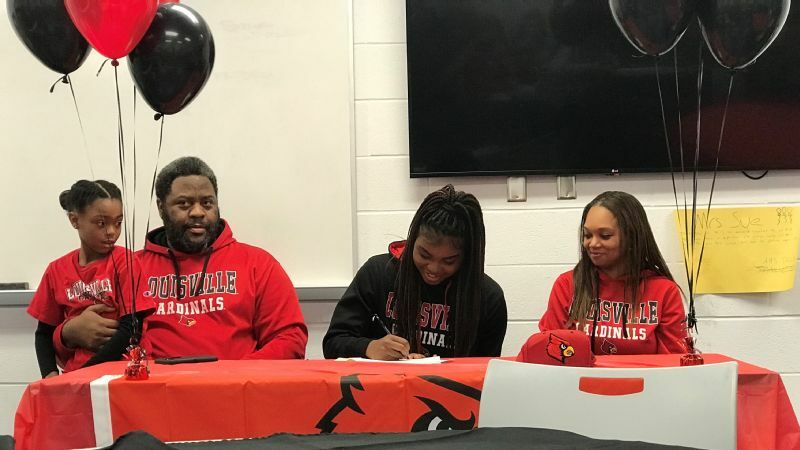 Red was the color of the day as guard Nyah Green signed her national letter of intent to Louisville. 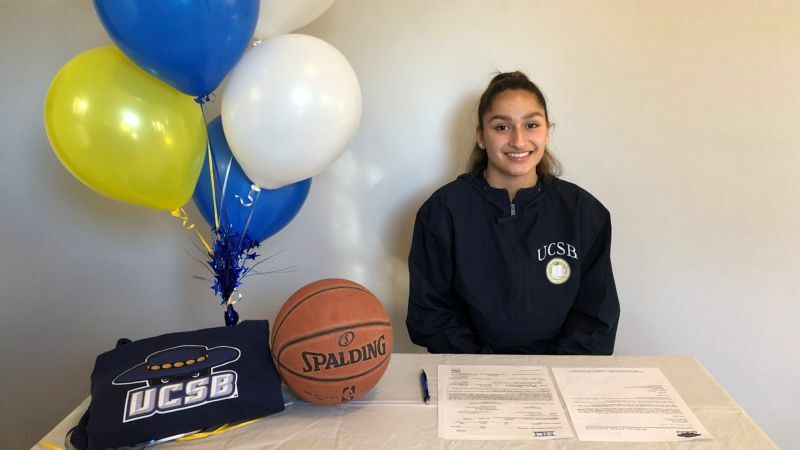 Johnni Gonzalez, a senior point guard at Bishop Miege in Kansas, was all smiles after signing with UC Santa Barbara. 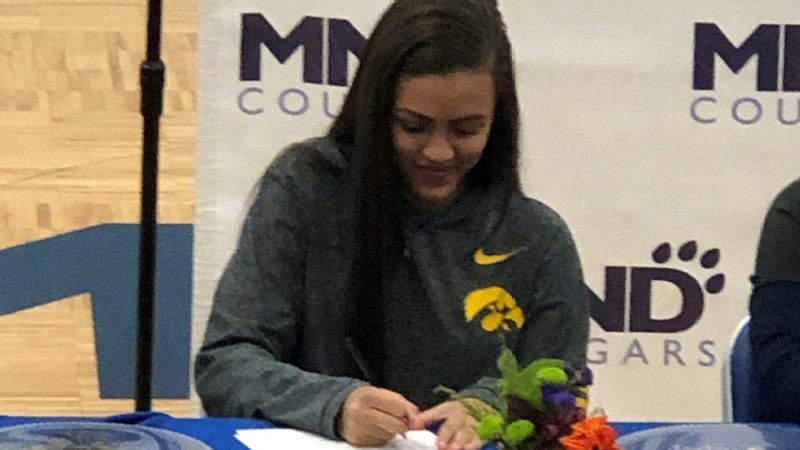 Point guard Gabbie Marshall of Cincinnati's Mount Notre Dame signs her national letter of intent with Iowa. 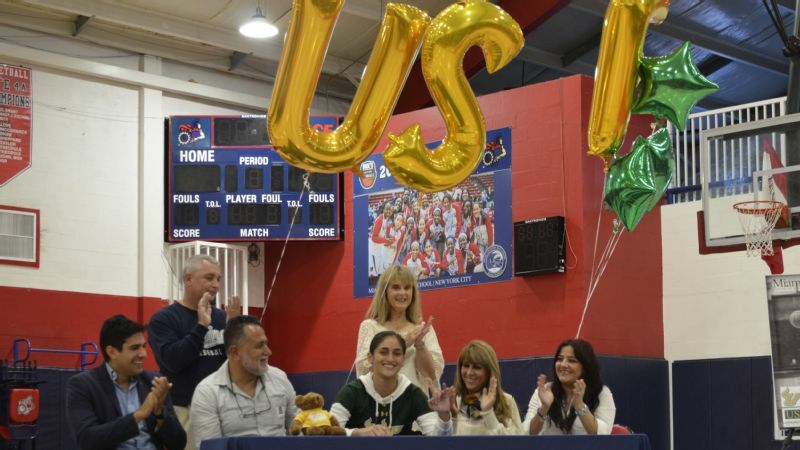 Maria Alvarez will be heading north to play at the University of South Florida after starring at Miami Country Day, which always seems to be a hub for signing week. As we were saying about Miami Country Day, Koi Love, the No. 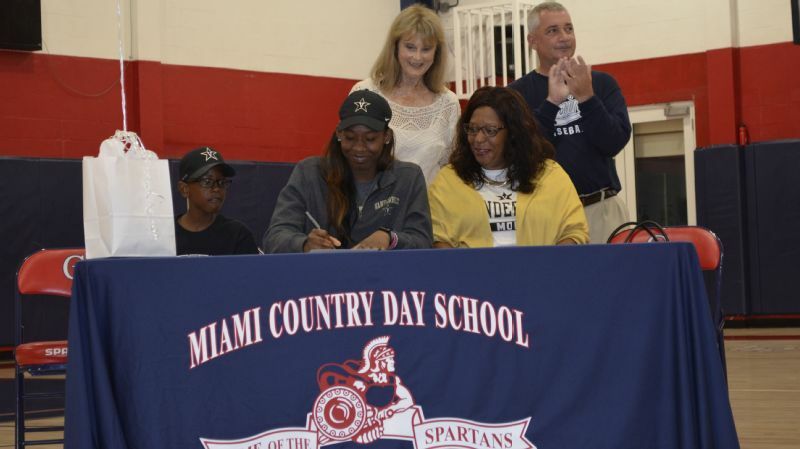 89 prospect in the nation, signed her NLI to Vanderbilt. 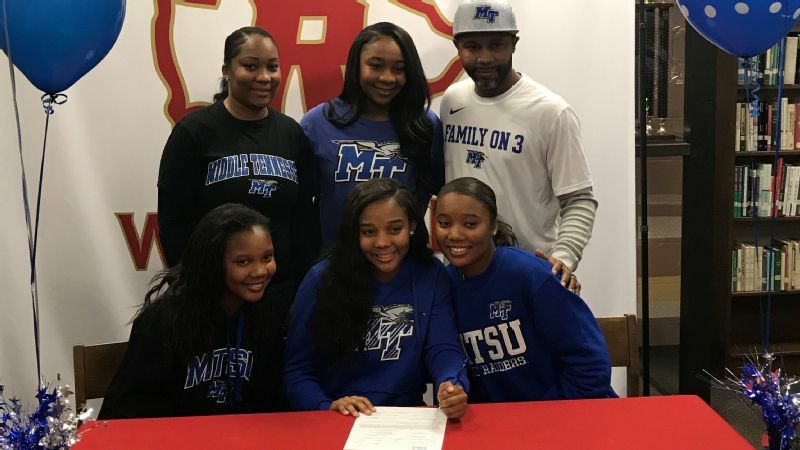 Aislynn Hayes, a point guard at Riverdale (Murfreesboro, Tennessee), signed with Middle Tennessee State, following in the footsteps of big sister Anastasia Hayes (back row, middle), who committed to Middle Tennessee State in the offseason. Twins Kayley Frank, left, and Hayley Frank needed double the ink on Wednesday. 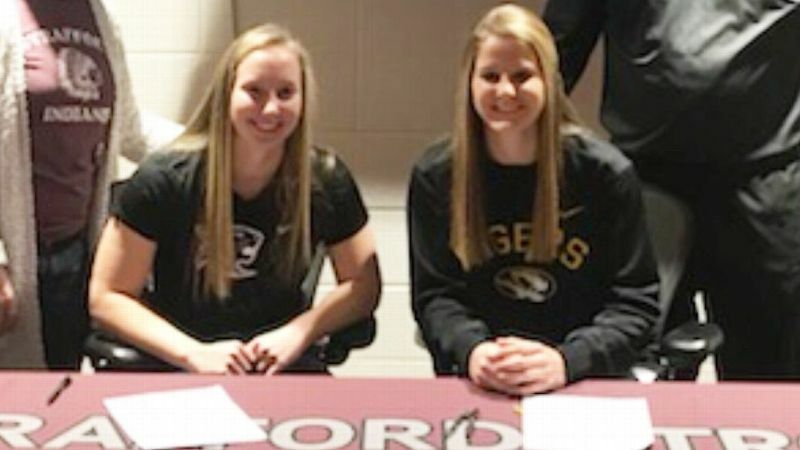 Kayley signed with College of the Ozarks and Hayley signed with Missouri.